Find performance tips that may accelerate your experience while using Visual Studio 2010. There are times when Visual Studio exasperates and causes your blood pressure to rise. You're in a hurry to do some work, and VS plods along, taking an eternity to finish a task. At least it feels like a long time when you're in a rush. 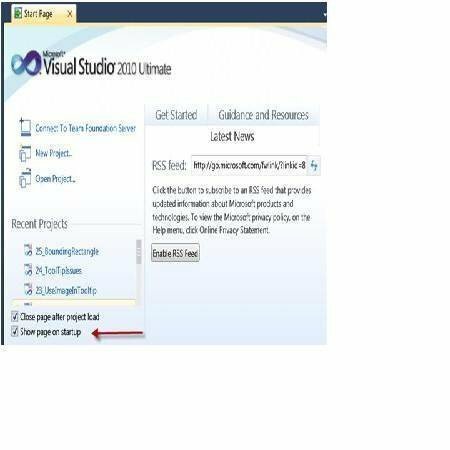 Here are a few tips I've learned that may accelerate your experience while using Visual Studio 2010. In a solution that contains multiple projects, a quick way to speed up your build process is to unload unnecessary projects. By unnecessary I mean projects that are stable and not undergoing active development. This is easy to do. Just right-click the project in the Solution Explorer and choose Unload. When you press F5 to debug an application Visual Studio first compiles the projects, then runs your project and attaches the debugger. You can cut down on the number of projects that Visual Studio builds during this process by checking the "Only Build startup projects and dependencies on Run" checkbox in Tools\Options. In my experience this increases performance on large solutions with lots of project. 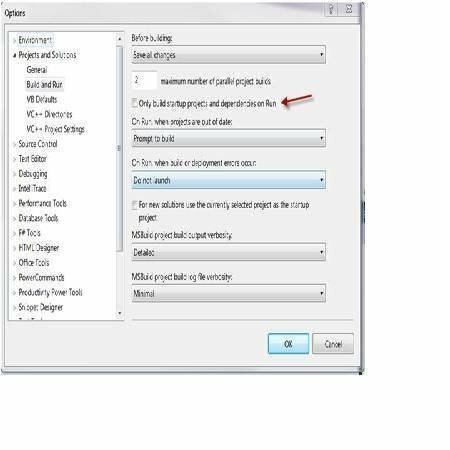 By turning off a few options for the code windows you can sometimes get a more responsive IDE. Here are a few switches to investigate to see if they speed up your programming experience. Remember you are trading speed for productivity with these switches. For example if you disable the "Track Active Item in Solution Explorer" then Visual Studio doesn't have to synchronize the solution Explorer tree view with your currently selected tab. This makes your environment slightly faster but now your navigation experience in the Solution Treeview is a little slower. In projects with lots of files, you can gain some speed by disabling the "Detect when file changes" option. 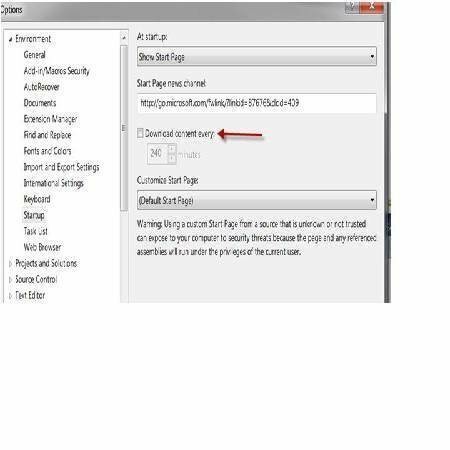 If you want a faster start up experience in Visual Studio consider changing the start screen options. For those of you unfamiliar with this setting let me explain. You can choose which screen greets you upon startup of the IDE. 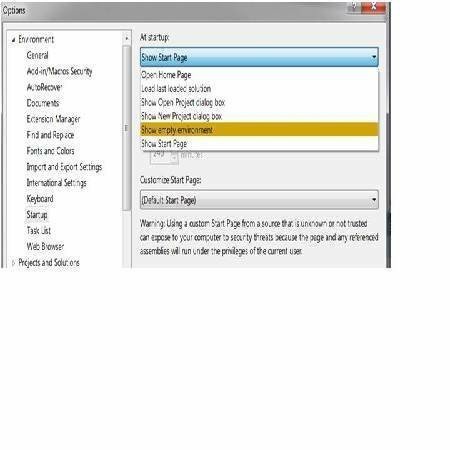 To quickly disable the Start screen and launch VS into an Empty environment you can uncheck the "Show Page on startup" checkbox on the start page itself. I like to keep the Start Page open, even though it is slight slower than opening to an empty environment. But I do disable the RSS feed to gain some speed. In testing on my Dual core laptop I gained about four seconds during startup by disabling the start page and going directly into an empty environment. I shouldn't even need to mention this but I will. Visual Studio thrives on RAM. So load up your computer RAM slots. If you are under 2GB total memory on your computer you will see some serious performance degradation.